Want to understand the scope and impact of the National MagLab in just a few minutes? Check out this short-and-sweet brochure. In 2016, the MagLab worked with 1,778 scientists from more than 321 universities, labs and companies around the globe. Find out who they are and where they're from. We'd like to introduce you to some of the amazing magnets that make the lab so unique and important. The MagLab holds numerous world records for high magnetic field and other key measures. Get directions, plan for Open House or take a tour -- in person or online. Learn the highlights of our lab's storied history with our interactive timeline. The only facility of its kind in the United States, the National High Magnetic Field Laboratory (MagLab) is the largest and highest-powered magnet laboratory in the world. Every year, more than a thousand scientists from dozens of countries come to use our unique magnets with the support of highly experienced staff scientists and technicians. Thanks to funding from the National Science Foundation and the State of Florida, these researchers use our facilities for free, probing fundamental questions about materials, energy and life. Their findings result in more than 400 scientific publications a year in peer-reviewed journals such as Nature, Science and Physical Review Letters. MagLab Director Greg Boebinger gives an overview of the lab during this first leg of our virtual tour. 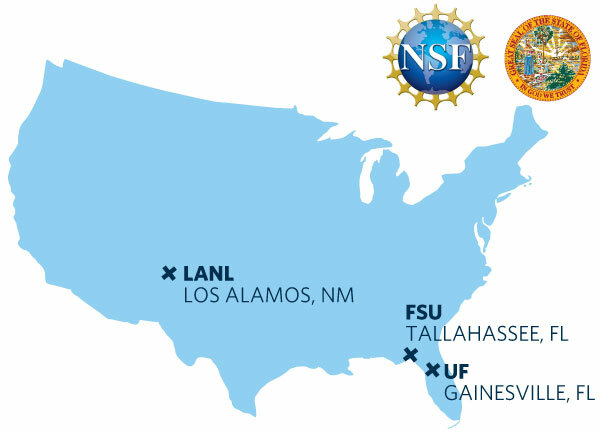 The MagLab is a partnership among Florida State University, the University of Florida and Los Alamos National Laboratory. Our seven facilities offer a variety of tools and techniques for exploring physics, chemistry, biology and engineering in an interdisciplinary, collaborative environment. The lab holds numerous records for high magnetic fields and other key measures. We're molding the next generation of scientists and engineers through quality programming, web content, and research. Our world-class scientists and engineers conduct high-level research recognized nationally and internationally. 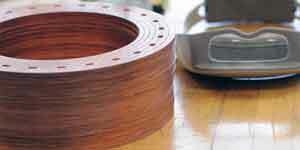 The building block of our resistive magnets. It's how we measure magnets. Scientists insert experiments into the magnet using this fancy stick. This marvel provides detailed images of cancer, Alzheimer's and other disorders hidden deep inside the body. 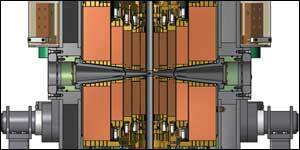 This magnet reaches a mind-boggling magnetic field — but only for a few milliseconds.